I’ve found that providing the very best service is essentially about putting my clients first. This means making myself accessible, being a good listener as well as a good communicator, and responding quickly to all your needs. Central to my core mission is the notion that I aspire to end each transaction better than where it began. I believe my testimonials will add credibility to this strong commitment. This Client First philosophy has always been my approach and it requires me to continually improve my skills and ways of doing business. In addition, I’ve found that the latest technologies are enabling me to do everything I’ve always done, only much more efficiently. They’ve also helped me to extend the range of services I provide to my clients. My integrity, professional commitment, in-depth community and market knowledge, marketing savvy, effective negotiation skills and a high-quality professional network are all hallmarks of how I work. I am aware that purchasing a home, relocating and all the rest that goes into this major undertaking can be an ordeal. My experience with the entire buying process and knowledge of our area will simplify your move and transition making it as smooth and stress free as possible. 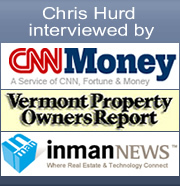 Please contact me to buy or sell a home in the Burlington area or within Chittenden County.